As we shared in July, we have been working very hard to make Cortana available in more markets and languages. Today, we will begin rolling out Cortana to Insiders on Windows 10 Insider Preview builds 10532+ as an optional download to Insiders in Japan and in English for Insiders in Australia and Canada. We also have an early version in English for Insiders in India, which will be updated with an improved voice later this month. With these rollouts, we hope to learn a lot from your feedback as we continue to improve the experience and refine it for each market. Later this year Cortana will also be available first to Windows Insiders in Brazil and Mexico, and in French in Canada. Cortana is available to Windows Insiders in the following configurations. 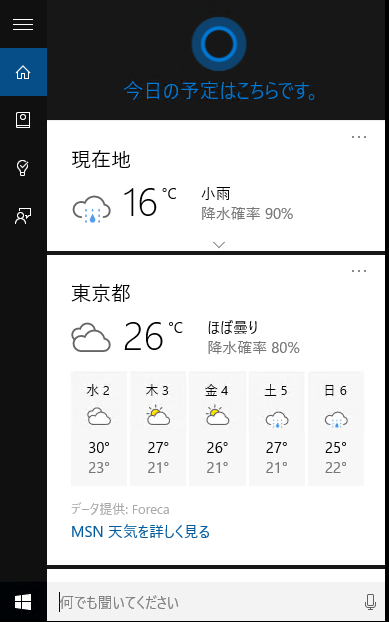 In order for Cortana to be show up on your system, please ensure you system has the appropriate Country or Region, Language, and Speech Language select for your configuration. 1. Open Settings. Select Time & language, and then Region & language. 4. Return to Settings and Time & language, and then select Speech. Check the Speech language setting, and make sure it’s aligned with the previous settings.